Join our community and save an additional 10% immediately! 100% of buyers said they were satisfied based on 1 reviews. The MagicalButter machine allows ANYONE to create incredible recipes and infusions with little or no labor. 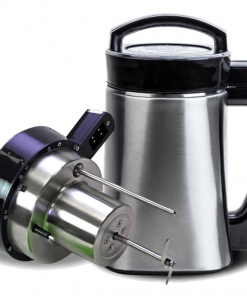 It combines an immersion blender with a digital thermostat and heating unit. The MagicalButter grinds, heats, stirs, and steeps–all at the correct time intervals and temperature–so you achieve the perfect results every time. 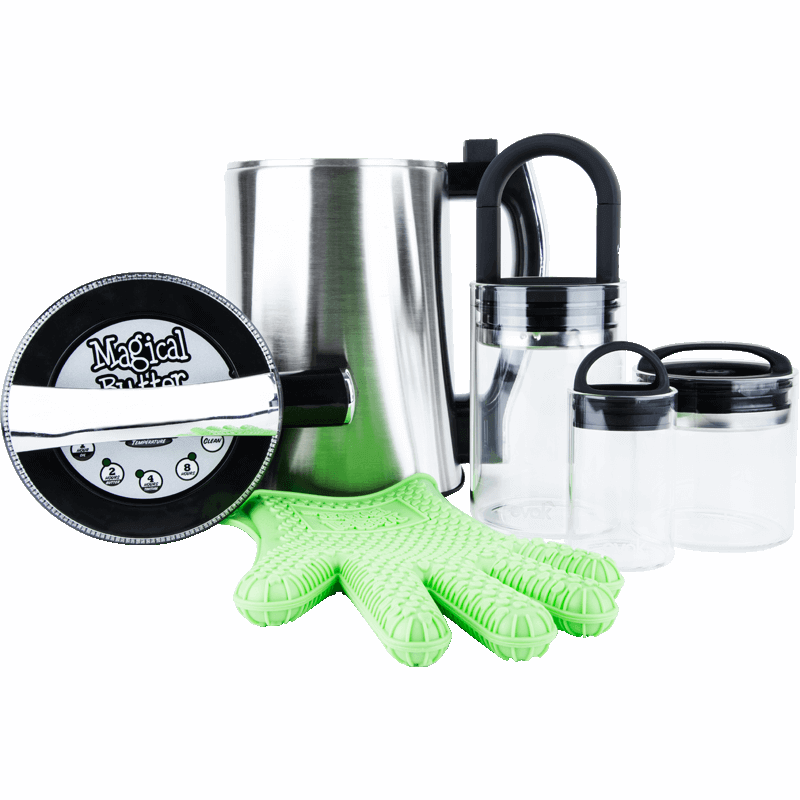 The MagicalButter machine allows ANYONE to create incredible Cannabis infusions and recipes with little or no labor. 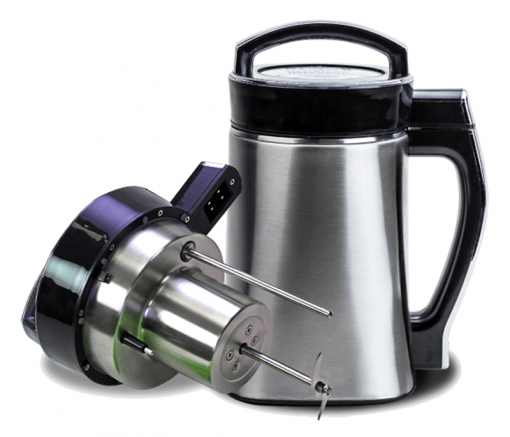 It combines an immersion blender with a digital thermostat and heating unit. The Magical Butter grinds, heats, stirs, and steeps–all at the correct time intervals and temperature–so you achieve the perfect results every time. 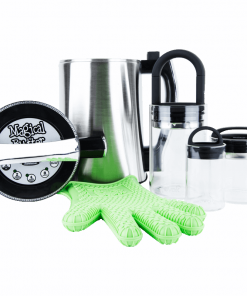 Decarboxylation – A process that uses low heat to activate your material to be fully ready for MagicalButter Extraction! Spread your material out on a cookie sheet or similar & bake @ 240° F / 115° C for 30 minutes, stirring every 10 minutes to ensure all your material is evenly baked. Grind your Material – Grind your material in an Aerospaced or Groove grinder. Don’t process into a powder, leave your materials little rough. Make MagicalButter – Add your material to the MagicalButter, then add 2-5 cups of melted clarified butter. Secure the machine’s head, and press the temperature button for 160F° / 71 C°. Press ‘2 Hours/Butter’ button. After the cycle is complete, unplug the unit and remove the head. Using the LoveGlove, pour the contents into the PurifyFilter and then into formed molds or any other container. Allow to cool and it’s done! For MagicalButter Tincture, MagicalButter Oil, and MagicalButter Concentrate, please see package insert. Coming from making it over a stove top, to creating it at this level is something I couldn’t have ever imagined without the Magical Butter Machine. I am in love with it’s versatility. Haven’t tried everything yet but I’ll let you know. CityVaporizer is the leading discount online store for weed, marijuana, cannabis, dry herb and wax vaporizers at unbeatable prices! CityVaporizer aka City Vaporizer is Canada and United States most trusted online store for Herbal Vaporizers, offers handpicked selection of high quality vaporizers at an unbeatable price point and top notch customer service. We offer fast, discrete shipping in USA and Canada from our local warehouses. If you are looking to buy a Yocan, Pax, Dr. Dabber, Arizer, Davinci, Storz & Bickel, Firefly, Boundless or a Pulsar vaporizer at discounted, affordable or cheap prices you have come to the right place. CityVaporizer is leading authorized dealer of all the major brands. Vaporizers use heat to release the active ingredients of your herbal blends or wax/concentrates without combustion (which creates smoke). Instead of burning the material, your product is heated at a much lower temperature. This allows all of the benefits that blends have to offer without the carcinogens and other nasty by-products that are released during combustion. Herbal Vaporizers are generally designed to be used with dry herb blends but some models are only for vaporizing herbal concentrates/wax, while some units are capable of vaporizing both. Please carefully read the vaporizer's description to find out its intended use. If you are not sure which vaporizer to choose, please contact us before placing your order and one of our knowledgeable CityVaporizer team members will be very happy to assist you! The best vaporizers in your city!